Google could be planning to alter the management of its much-vaunted Nexus line of smartphones and tablets. Celebrated throughout the consumer market for their running of stock Android, generally competitive price points and ease in which they can be modified, the Nexus brand has been the cornerstone of Android's continued growth since inception. Where the search giant has partnered with numerous OEMs over the years including Samsung, LG and Motorola, a new report suggests that the Big G may instead follow Apple's precedent and build its Nexus hardware and software in-house. The fact that Apple's devices and software are all designed under one roof is considered pivotal to the generally smooth, harmonious user experience. While Android has gotten much slicker in recent years, the fragmented nature of the open-source OS means that the UX can shift dramatically from device to device -- an issue that Apple rarely encounters. The Pixel C tablet is an example of Google's purported Nexus ambitions in action. The company made the slate itself, designed the software, and created the entire project in-house. The same can be said for the Chromebook Pixel notebook. But while Google hasn't produced a great deal in terms of mobile hardware thus far, there's no question that the company has the necessary resources to turn Nexus into its very own iPhone / iPad-esque venture. Per a report from The Information, Google CEO Sundar Pichai has spoken internally of his company's intention to command more control over Nexus line from both a software and hardware aspect. Nexus products would likely benefit from this system, since Google could streamline the Android experience and deliver the software on its own terms. Subsequently, the belief is that the Android brand would command more respect, particularly at the higher end of the market. Reading between the lines, it would seem that Google is gunning for a chunk of the market in which rival Apple is heavily invested. The notion of a high-end, Google-crafted Android handset does have a certain level of appeal. By the sound of it, though, those with lower budgets may have to look elsewhere -- perhaps Motorola -- for a near-stock experience without the heavy price tag as Google takes aim at an old adversary. Would you like to see a straight-up iPhone rival made entirely by Google, running Android? Let us know down below. This really should be their Project Ara module devices. Nexus and Project Ara would be the perfect marriage. Anyone or OEM can create modules for a Ara device. This would be the ultimate. Hurry up Google and make this happen sooner than later. That would be dream come true for a geek like me. Buying and swapping out modules. Pixel Phone and Surface Phone entering the mix! The top phones are already so closely matched, can't wait! That's what I liked about LG and Asus' Nexuses. They felt like they were their own style, not rebranded ones. There isn't really anything stopping them from making windows phones right now. I kind of doubt this is going to change that. I think something could still occur since they have Project Ara. If Google came out with a Nexus Ara device with modules. 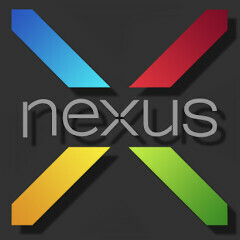 Then that would be the ultimate Nexus device. Maybe by a little less modification in their UI's? That'd lead to quicker updates and more universal likeliness of Android. they wont fight they will adapt thats all. They will still be able to use the OS and now they will have more incencitive to be faster in the update departement and bring more to the table than features. That's the best case scenario anyway. As awesome as that would be, I doubt that will happen. Why exactly? I don't see OEMs making a lot of profit off nexus phones anyway. No one cares. And if pixel c is an indication, Google's nexus will be terrible. I think all OEM'S should have stock android on their phones. Then throw in a few extras like Motorola and Sony do. Updates will be a hell of a lot quicker also. But that would make it a giant spec race... worse than it is.... since that's the only thing that would differentiate phones. Nope make all those features we can uninstall ( whitout using root ) as a special market for specific brand. Like all those features Samsung put in there phone why not make it possible to install and uninstall them as we want just like apps? HTC and Sony are doing this and its work well. I bet many people don't know what exclusive features people can download on their HTC and Sony. While if the same feature is pre-installed in Samsung, then people are likely to use it. Those which people didn't use are already removed by Samsung. I guess the people in Samsung know more than u or me. The problem OEMs had with Symbian was it had no identity, OEMs like to differentiate with the UI, that simple. If you don't think so, then it they are tard for spending millions to design, update, fix, debug all the custom code they put in. You make it a one trick pony and might as well just have a single OEM like iPhone does, it's why OEMs are resistant to WP, they have spent millions into Android design. It wasn't a Nexus, so no.